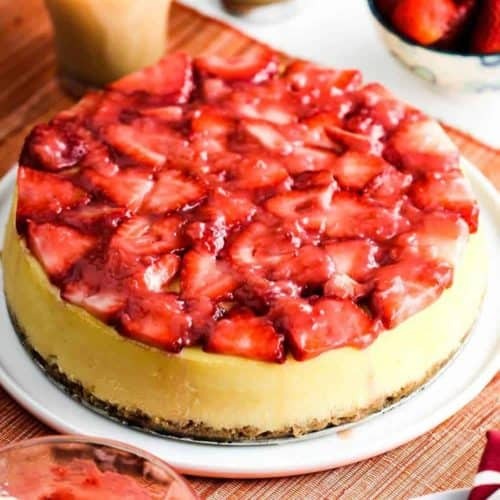 New York Cheesecake with Strawberry Glaze sort of speaks for itself. 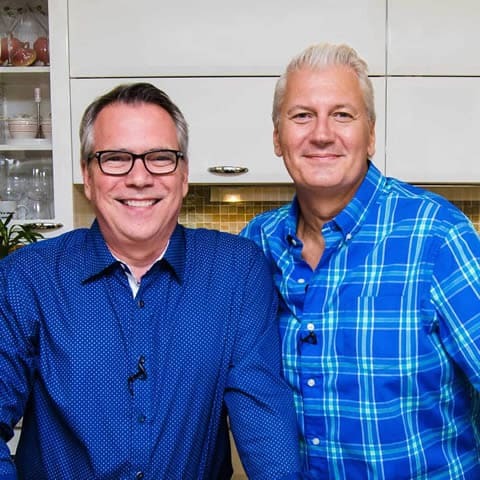 If you’ve ever had it (and who hasn’t), you probably gasp a bit with every bite, and then…wow…could I ever make this at home? Well, you can. Without a doubt. 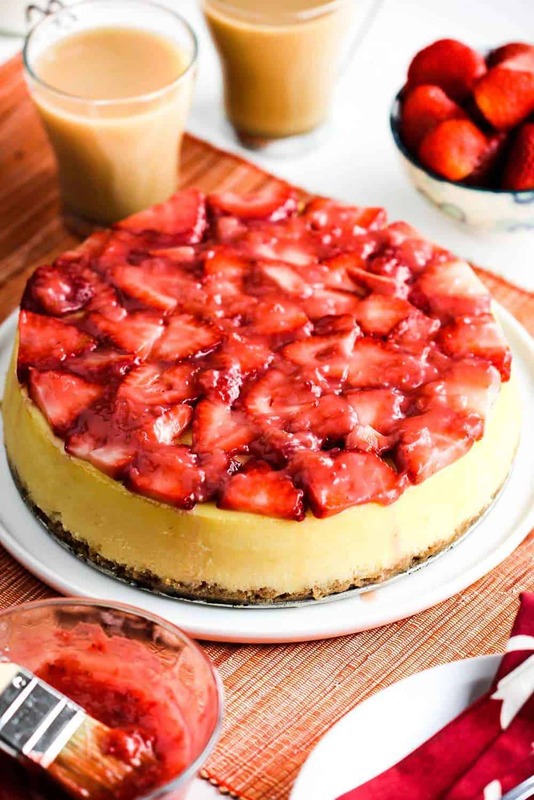 If you like an airy, yet amazing cheesecake, you’ll flip for this New York Cheesecake with Strawberry Glaze. These flavors are sublime and the buttery graham craker crust is just too much. The custard filling for the cheese cake is truly spectacular. This New York Cheese Cake takes a little time and patience, but boy, oh boy, is it worth it. The cheesecake alone is worth an award. 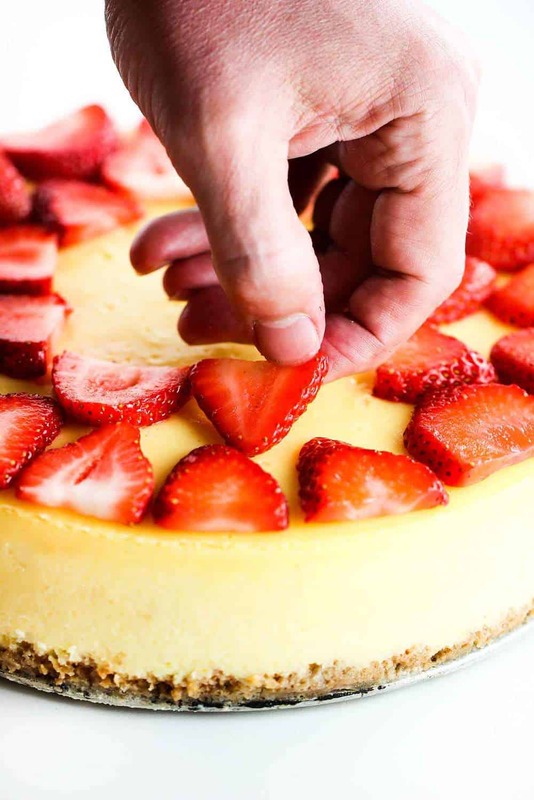 And simply follow our step-by-step instructions, and you’ll have the perfect cheesecake. Don’t forget your 9-inch spring form pan! And did we mention the graham cracker crust? So buttery and delicious! And of course, fresh strawberries are perfect. Oh, yes. As if this New York Cheesecake isn’t good enough by itself, we might as well amp up the flavors and add a nice topping. Any kind of berry would work, but we think strawberries are the perfect topping. Making a little glaze to help with the topping is a snap, and adds even more flavor. 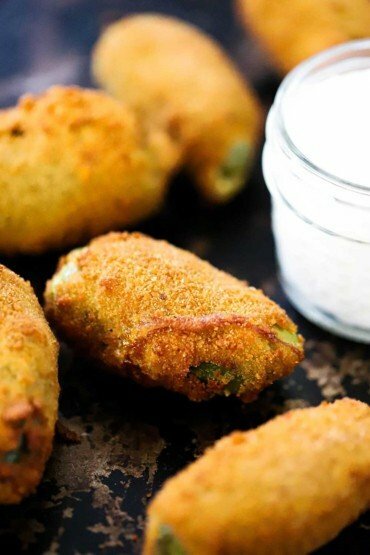 Your guests won’t believe it when you serve them this. Talk about a slice of heaven. We absolutely love everything about a New York Cheesecake. 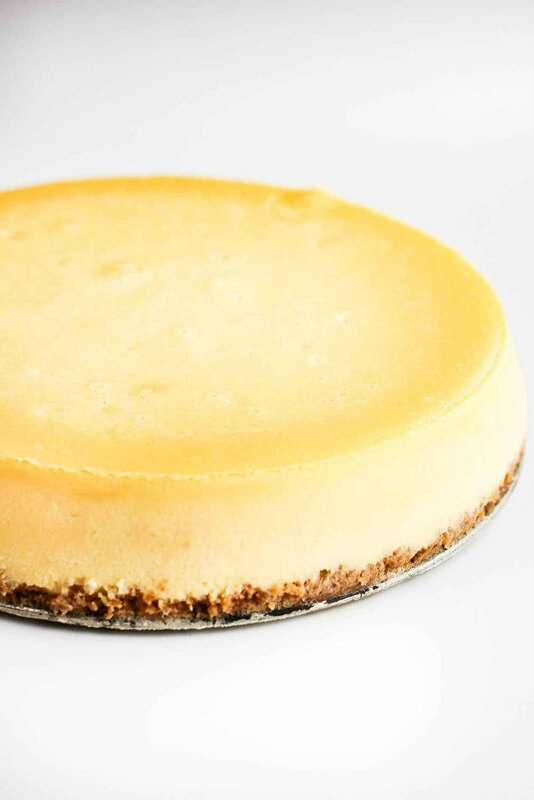 We love all kinds of cheesecakes, but New York is our favorite! And after lots of testing and trying different techniques, we really believe this is about as good as they come. 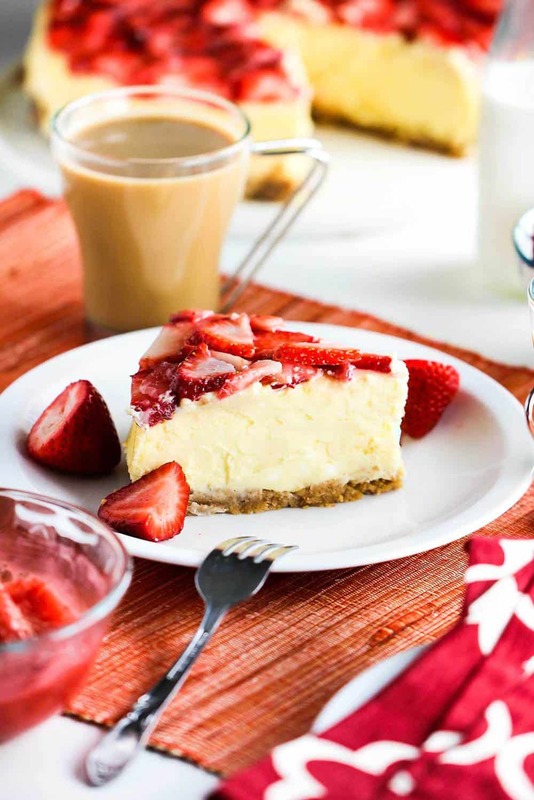 When you make this incredible cheesecake, please let us know what you think. We really hope you love it as much as we do! This is classic New York-Styled Cheese Cake. 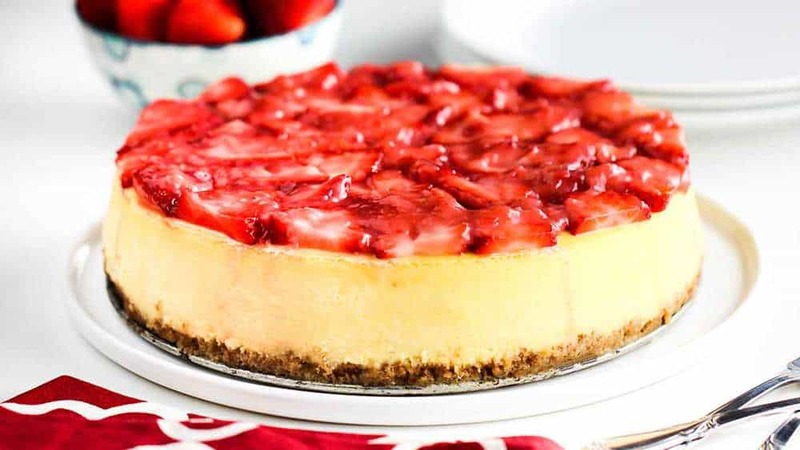 The stawberry glaze on top and the buttery graham cracker crust are the perfect compliments to this classic cheese cake. This is the real deal. Cheese cake perfection. Ground the graham crackers in a food processor until fine. Add the cracker crumbs into a medium bowl and add the butter, sugar and salt. Mix until well blended. Grease (or butter) a spring form pan, bottom and sides. Press the crumb mixture into the bottom of a spring form pan. Use the bottom of a measuring cup, or bottle, to compact the crumbs. Use a spoon along the edges. Bake the crust for 15 minutes. Remove from oven to cool. Add 2 layers of foil on the exterior of the spring form pan. Heat a medium-large pot of water to a boil. In a stand mixer, beat the cream cheese until fluffy. Add the vanilla and lemon zest. In a separate bowl, combine 1 & 3/4 cups of the sugar, the flour and salt. 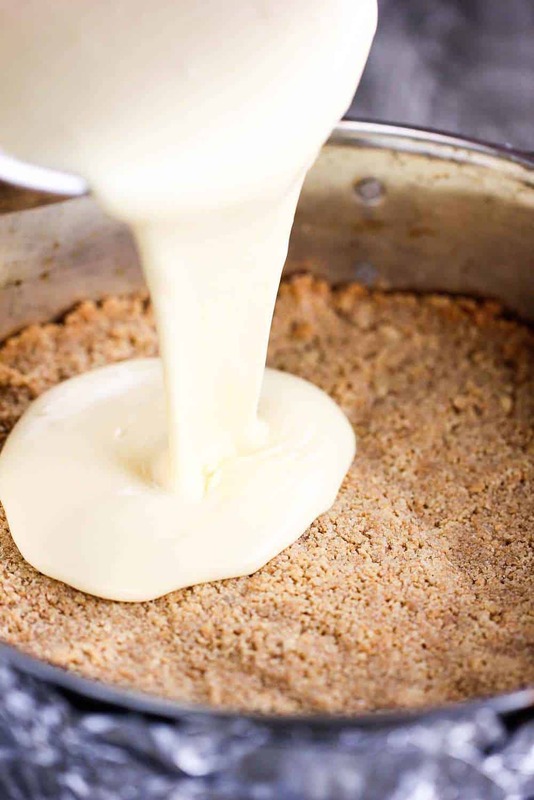 Gradually blend the sugar mixture into the cheese mixture. Beat in the eggs and egg yolks, one at a time. Add the cream. Beat well...for about 2 minutes on medium. Place prepared spring form pan into roasting pan. Ladle boiling water into the roasting pan, until water reaches about half way up the pan. Bake for 45 minutes. Then lower the heat to 300F. Turn off oven, but leave cake in the oven for 1 hour, leaving the door ajar. Place cake in fridge, and cool for 6 hours, or overnight. Crush just enough strawberries to make about 1/2 cup. Boil the crushed berries with 1/3 cup of the sugar, the water and the cornstarch for 2 minutes, stirring often. 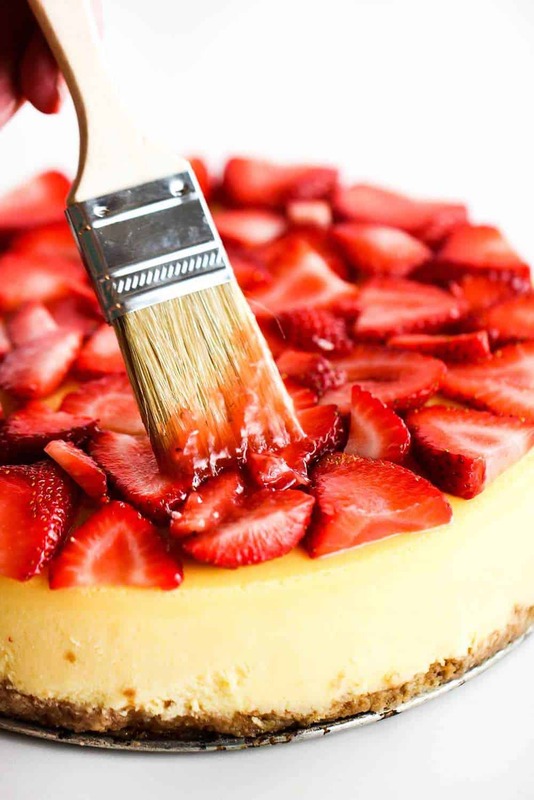 Arrange the non-crushed sliced strawberries on top of the cake and then pour the glaze over the top. Chill for about another hour. Remove the sides of the spring form pan. Slice and serve! What size spring form pan do you use? There’s a HUGE difference in how the various sizes would bake.